On the eve of International Child Protection Day, Prime Minister Hun Sen used a speech on Phnom Penh’s Koh Pich island to praise his government for making the rights and needs of children a priority since the fall of the Khmer Rouge. 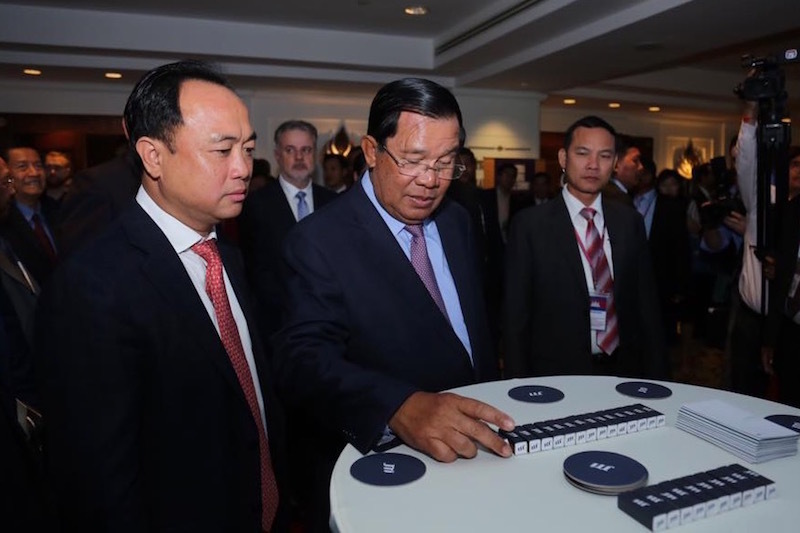 “After January 7th, Liberation Day, Cambodian children have been protected, supported and taken care of, and children’s rights have been promoted,” the premier said during the event on Tuesday. But a new report released by a group of local and international NGOs paints a far less flattering picture of the situation, noting that many commune-level committees tasked with advocating for the welfare of women and children are ill-equipped and underfunded. In 2004, the government established Commune Committees for Women and Children (CCWCs) in each of the country’s more than 1,600 communes. Made up of government, police, health and education officials, the committees are meant to identify issues facing women and children and request funding and services on an as-needed basis. “CCWCs had moved beyond their mandated roles in awareness raising, advocacy and monitoring roles, to provide services themselves,” despite inadequate training and a lack of government funding, says the report, which was jointly commissioned by Unicef, World Vision, Save the Children, Child Fund Cambodia and Plan International. Based on interviews conducted late last year with 30 CCWCs in 10 provinces, the report explains that CCWCs have been forced to fill the void left by the absence of social workers, counselors and shelters. While domestic violence, for example, is described by the majority of interviewees as “the issue that took up most of their time,” committee members often employed ineffective solutions to address it. Worryingly, CCWC members also overwhelmingly support “reconciliation” sessions wherein victims are often asked to accept partial responsibility for physical and sexual abuse, the report says. “Inadequate food preparation, talking to outsiders or complaining to an abusive spouse were all listed as forms of provocation,” it says. Although CCWCs are often willing—even eager—to provide support, a lack of training among committee members means vulnerable children are failed in the end, according to the report. With no alternatives, CCWCs often view residential care institutions (RCI), such as orphanages and pagodas, as the best solution when a child is at risk of violence, forced labor or poverty, the report says. All of the CCWCs surveyed for the report identified a lack of funding as their main hurdle, with others pointing to a lack of understanding about where funding requests could be directed and whom to contact with concerns. Siek Mekong, the chief of Sesan district’s Srekor commune in Stung Treng province, who also acts as chief of the local CCWC, said the committees were simply unable to function properly with the amount of funding they currently receive. “I think the administrative money is not proportionate to the work,” Mr. Mekong said, explaining that all CWCC members are volunteers, while funding for committee activities usually runs dry in the first three months of the year. “We want the government to cooperate with local officials and train them, and the government should provide a monetary package for the people who are working in this field,” he said. The training he had received, he added, had come from NGOs such as gender development group Silaka. Thida Khus, the founder and director of Silaka, said on Wednesday that the potential of CWCCs was frequently marred by inefficiency and the perception that women’s and children’s issues were not a priority. Ms. Khus said Silaka had lobbied the ministries of finance and interior to help make funds more accessible to CWCC’s with a specific need for them—with no success. “The money is there, but the process and procedure to withdraw that money is very difficult, so many of the women don’t even bother to check,” she said. “Funds need to be allocated for the committee. There needs to be a set mandate of funds. In our research, [CCWCs] want about 20 percent of development funds from the commune budget,” she added.